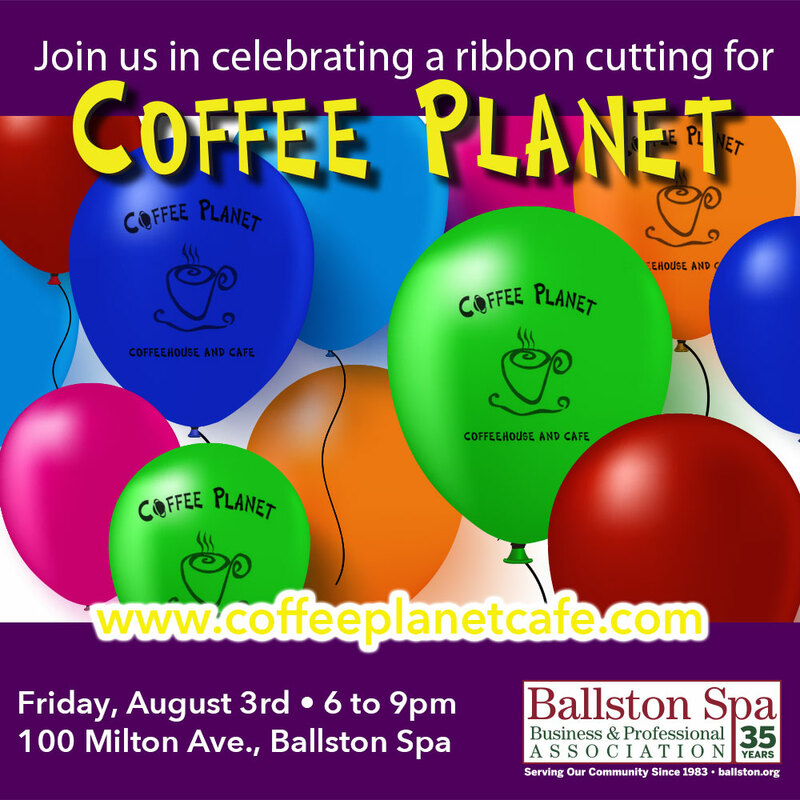 It’s the “Passing of the Coffee Pot”, as longtime Coffee Planet owner Cliff Baum turns over the reins to Kim Tribley. Please join us as we celebrate Cliff’s contributions to our business community and welcome Kim by getting her off to a rousing start! 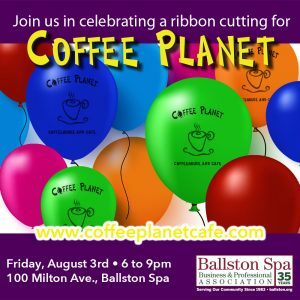 Located in the heart of the Village of Ballston Spa’s downtown business district, Coffee Planet has been a popular gathering place for the Ballston Spa community since 2003, with a cool, funky vibe that attracts customers young and old. “Art on the Walls” regularly features local artists’ works, and live acoustic musicians perform during Sunday brunch hours. In addition to a variety of its namesake beverage, Coffee Planet also offers soups, salads, sandwiches, bagels and pastries and, in the summer, ice cream.